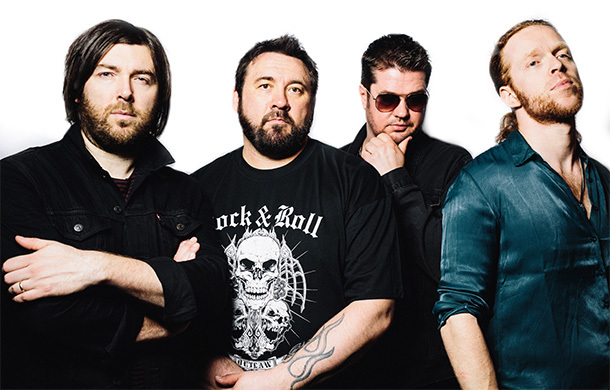 King King is one of the most accomplished blues rock bands in recent years. In 2015, their latest studio album, Reaching For The Light, was voted Blues Rock Review’s top album of the year. In 2016, King King’s album, Live, was voted the top live album of the year. The band returns with a new studio album October 6th called Exile and Grace. 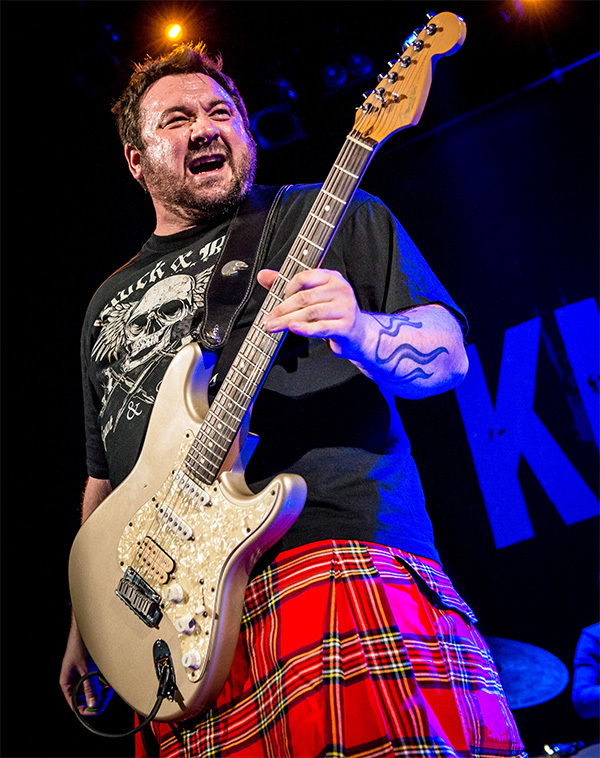 Blues Rock Review caught up with King King frontman Alan Nimmo to talk about it. After all the success and accolades the previous few albums received did you guys feel any pressure with Exile and Grace? I suppose with each album and with everything that comes along with it… the PR and media and things, it comes with all that pressure, but I try to not let any of that get in the way of the musical process, the recording, and writing process. If you get bogged down with all that you tend to lose focus on the music. You’ve been battling with some vocal issues. How are you doing? First off, just last year I had an operation on my throat to remove polyps from my vocal chords and basically happened was I got back to work too soon, I started singing too soon, and sort of did a little bit of further damage in terms of the time it was going to take to recover, so we had to reschedule some things. After the trauma of the operation, which I didn’t realize at the time you’re susceptible to infection, so you’ve really got to be careful with how you take care of yourself. And that’s basically the jist of it and I started to lose my voice again a bit, so we decided let’s just take some time out and I’m going to get properly recovered and do a whole lot of rehabilitation and get my voice and my voice box back together, so we start again at the end of October. The lead track on Exile and Grace “She Don’t Gimme No Lovin” started out as an idea for Reaching For The Light. How did that come out? Yeah, these things happen. There’s songs that get messed around with and end up not going on a particular album and go on the next one and it’s just a tiny little chord sequence that was used in one of the older songs on the Reaching For The Light album and I was just messing around with the shape of it and then I just started to go for a straight 4-4, kind of an AC/DC kind of beat and then an idea was formed and we worked on it after that for this album. Quite often things like that happen and songs come out of a whole bunch of sitting around the studio, waiting, or doing nothing and just a bit of noodling on the guitar while you’re waiting for something else to get done. “Find Your Way Home” has a chorus that really grabs you. Was that written about personal experience? Yes, it was. Most of the songs I write are about personal life experiences, some of which I’m happy talking about and some I like to keep for myself and it’s just my own therapy (laughs). How did “Heed The Warning” come about? The riff for that tune I had been messing around with for a while. Quite often at times I start playing a little bit at sound checks here and there and the guys sort of join in and play a long. And this particular time we were on tour with John Mayall and he often used to come out and watch the sound check and watch by the stage and watch the show as well, and a lot of the time he would come out and sit at the organ and keyboard and jam with us. And one particular day he was there with Greg Rzab, the bass player, and he was like, hey man, can I join in and he picked up the bass and he started playing this riff, so I’m gonna do something with this riff and I’m gonna make a song with it, and I went away after that and some time these sort of riffy things can be cool to listen to in a section of a song, but you don’t want it be the whole tune because it gets boring, so we needed to have something our own and that’s how it was born. The band does most of its touring in the UK/Europe, is the United States on the radar? It’s always on the radar. We’re always in chats, but the unfortunate thing is when it boils down to reality and truth is sometimes getting to the states is just difficult at times, but we’re looking and we’re always trying to plan ahead, and we have every attention of getting there and it will happen for all our state side fans that we’re lucky to be in contact with on the social media side of things we will be coming at some point, trust us, just be patient. Touring in the United States for international artists seems to be a logistical problem for most bands. Yeah, of course, it’s a logistical nightmare at times and that can be very, very expensive to do it properly as well, so we don’t want to sneak in the back door. We want to do it right and make an impact when we do go there. An ideal situation is be to be playing larger venues, maybe on a support tour with a bigger band. That’s the kind of idea we’re trying to look at rather than playing the small kind of bars and stuff like that would prove a bit difficult at times. Listening to your music there seems to be a big influence from Paul Rodgers, Free, Bad Company, etc. How much of an influence is there on your music? You just hit the nail on the head, man. Paul Rodgers, Free, Bad Company, Whitesnake, Thin Lizzy, all those bands were all my favorites as a kid growing up and I think with each album comes a new experience in songwriting and with experience comes a certain degree of relaxation as well and the more I seem to relax into songwriting I’m discovering that all those influences I used to listen to as a kid seem to bubble to the surface, so there’s a song on there called “Long Time Running” and it started out with a bit of music and a bit of a drum beat we were thinking of The Rolling Stones and “Honky Tonk Woman” and then it changed, it evolved into something that sounded something like southern rock, a bit Black Crowes, but then as soon as I started to get comfortable with what I wanted to sing on it and as soon as I put the vocal on it just to me sort of brought it back to a British rock band that sounded like a Whitesnake/Bad Company idea because that’s how I phrased the vocal and that’s what was leading the song then, so all that seems to keep bottling up and I realized how much how all that stuff really got deep inside me when I was young and I still love that music today. It’s always interesting to hear how different artists all over the world view the current state of blues rock. What are your thoughts? I’ve noticed over the years coming from sort of a blues background in terms of when I started out playing in blues bands around the UK I always noticed the blues and blues rock scene had a tendency to mix together. It came and went in spades. It was up and down for a while and you’d get a boom for a while and then it would sort of drop off a bit. I would say in the last 10 to 15 years especially in the UK and western Europe even it’s been pretty consistent. In fact, it’s probably grown and there’s been a lot introduction of younger bands and kids coming out. Jonny Lang opened the floodgate for teenagers to love this type of music and all of a sudden those 16 and 17 and 14 and 15 year old kids appearing in blues bands and blues rock bands and it’s things like that and I’ve been around this scene a long time and our audience has grown in age with me and they were always an old age to start with, but when you get these younger guys and girls they tend to bring a another audience with them, so it continues to thrive. It’s nice to have young blood, but keep the standard up and keep it high, and always be true to the music and true to yourself and put the work in. Nothing comes for free in this world. If the young guys are still prepared to put the elbow grease into it this business will thrive and the genre will thrive with all the fingers crossed in the world.